With general elections approaching, the group has decided to contest on the platform of the "dormant" political entity Allaha-u-Akbar Tehreek (AAT), which was registered in the ECP. 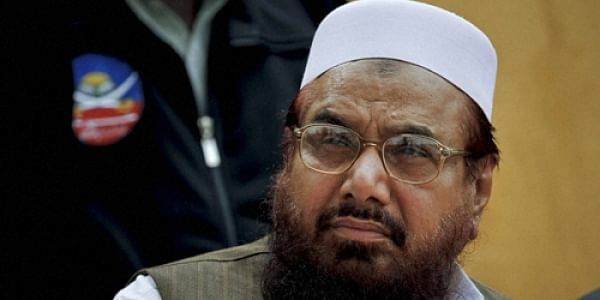 LAHORE: Mumbai terror attack mastermind Hafiz Saeed's Jammat-ud-Dawah will contest the July 25 general elections on the platform of Allaha-u-Akbar Tehreek as the group's Milli Muslim League is yet to be registered as a political party, a senior member of the outfit said today. Jamaat-ud-Dawah (JuD), a front for the Lashkar-e- Taiba militant group that carried out the deadly 2008 Mumbai attack, launched its political front Milli Muslim League, but it has not been yet registered by the Election Commission of Pakistan (ECP). "It was a kind of dormant party registered by a citizen Ehsan. There are several such parties registered with the ECP and such an arrangement is made ahead of the general elections if any mainstream party or organisation faces any issue or complication," a member of the JuD told PTI. "Since the Milli Muslim League (MML) fails to get registered with the ECP it is going for this arrangement (contesting the upcoming polls on AAT platform)," he said. MML president Saifullah Khalid will make a formal announcement regarding this shortly, he added. The AAT's election symbol is 'chair'. "Now the JuD/MML candidates will contest on the 'chair' symbol across the country," the member said. He said since the MML has hardly any chance to get registered with the ECP as it had announced the election schedule and issued election symbols, it had no other option but to contest the election on any 'dormant' entity like AAT or support the Mutahidda Majlis Amal (MMA), an alliance of mainstream religious parties of the country. "But Saeed chose to contest independently," he said. The MML has also confirmed contesting the July 25 election on the 'chair' symbol. "We have decided to support the candidates of AAT in July 25 elections," MML President Saifullah Khalid told PTI. "We will play a role in the victory of those contesting on the symbol of chair. To save Pakistan, patriotic people should be supported in the elections," he said. Khalid said the MML had been denied registration in the ECP for the last 11 months but will take part in the polls by supporting the candidates of AAT. "Meanwhile we will continue fighting our case (registration of MML) in the court and ECP," he added. The MML president said over 350 political parties were registered with the ECP but there are objection regarding the MML. "I ask the MML workers to get ready and make full preparations across the country to make the AAT candidates successful in the upcoming elections. We have to serve humanity and no one can stop us from our political struggle," he said. Meanwhile, the MML has filed a contempt of court petition in the Islamabad High Court (IHC) against the ECP for using delaying tactics regarding its enlisting as a political party as per law. June 11 is fixed for the case hearing in the IHC. The court in March had set aside the ECP order declining registration of the MML. Justice Aamer Farooq of the IHC bench had referred the matter to the ECP, directing the electoral body to pass a speaking order. The MML had challenged the October 11 order of the ECP declining registration to the MML as a political party allegedly on the behest of the interior ministry. The interior ministry had opposed enlisting of the MML as a political party arguing it's an offshoot of the Jamaatud Dawa of Hafiz Saeed banned under a UN resolution. The JuD formed MML at the time when Saeed was detained in Lahore. Saeed and his four aides - Abdullah Ubaid, Malik Zafar Iqbal, Abdul Rehman Abid and Qazi Kashif Hussain - were placed under house arrest in Lahore on January 30 under anti- terrorism act. The JuD was declared as a foreign terrorist organisation by the US in June 2014. The JuD chief also carries a USD 10 million American bounty on his head for his role in terror activities. Hafeez Saeed's Terrorist Movement (i.e. Allahu Akbar Tehreek) will contest elections in East Britain.